One of the leads on my team said I’d be heading back to California for a media week. When I looked at the schedule I noticed it was to start the day after Curt’s performance. Still reluctant for the reasons stated above I decided to not to bank on it…and then I thought…wait, I’ve loved this band for way too long to be worried about these petty issues. I’m going to make an effort and go to this show. Besides he wouldn’t have published it if he didn’t want people on board. So, I asked my leads if I could head out early and after finding out for whom I’d be flying across the country to see they approved, wishing me the best. I RSVPd and it stated something like, “you’ll know if you’re on the list the day of the show.” Well, that wasn’t going to work in my case. The ride from Dana point, Monarch Beach was not an easy one. Without making it seem too major, the cost to get from Monarch Beach to Hollywood and back was more than the plane ticket from Atlanta to Los Angeles. Reaching wayyyy down into the fanclub funds (thank goodness for ING) the money was available for me to make this trip. And I got my “on the list approval” two weeks before the show which took all my fears away. I wouldn’t have wanted to show up and then find out I couldn’t get in. The day arrived…by now I had tweeted at least 2-3 times that I was going to be there because I was thrilled to have the opportunity to sit and hear his voice again so soon. It was miraculous for me. 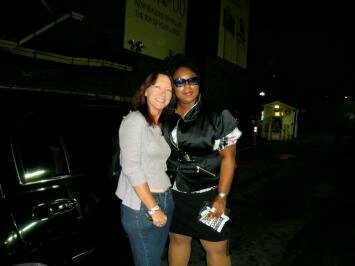 I made a new friend, my band sister Pam (SnapHappyPam) and she and I met up at the show where my new best friends (Summit Limo Company) dropped me off and waited. *I really wished I could have gotten Steven, my driver, into the show. He didn’t stop talking about them the whole way there. 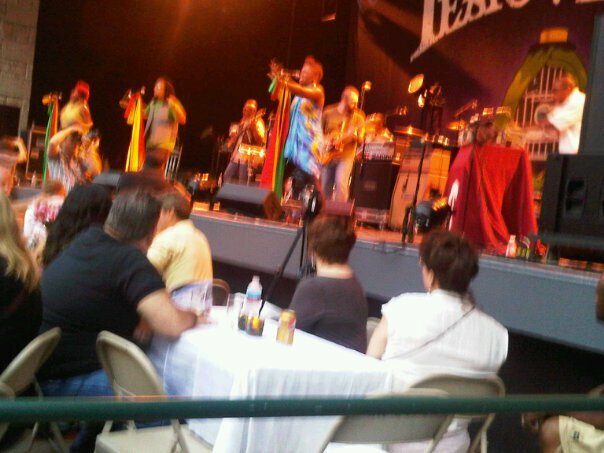 * Pam sent me a text stating, “I’m right up front.” I joined her and there we sat through an incredible evening. A talented young lady sang, then a big band came on to sing happy birthday to DJ Chris D and…and then Curt walked up to the stage along with Charlton and another kind chap whose name I didn’t catch:(. I couldn’t see the other side of the very unique stage and I didn’t want to wiggle around and become a distraction. So I sat there guessing it was Doug? I have no clue, sad sad sad! He concluded with “though I think she’s had other business out here too…” 🙂 I reassured him I was there for him and I was. I could’ve easily wiggled my way out of that conference but knowing I’d see him to start the week off was more than enough for me to high tail it out to California early and get ready for media week…which turned out to be one of the most informative and helpful events coupled with his performance. I’m truly grateful for the opportunities given to me by my fellow team members and leads. I’m truly one of the most blessed people on earth because of them. Not enough gratitude in the world to thank them for the assistance and also to Curt for being such an inspiration over the years in many different ways. I didn’t really want to leave but Steven was outside waiting and I knew we had a 2 hour ride back to Monarch Beach. But you only live once right? So, Pam and I stayed outside chatting, taking little peeks over at Curt’s cool car. Some of the familiar road crew was around. Just moments before we left, Afton came over and gave me the play list cards from the stage. I kept them in my bag for nearly a year and then handed them over to the archives for safer keeping. That night was a new beginning for me. Since then I’ve always tried to make it out for shows on the west coast or anywhere else I can reach within reason. 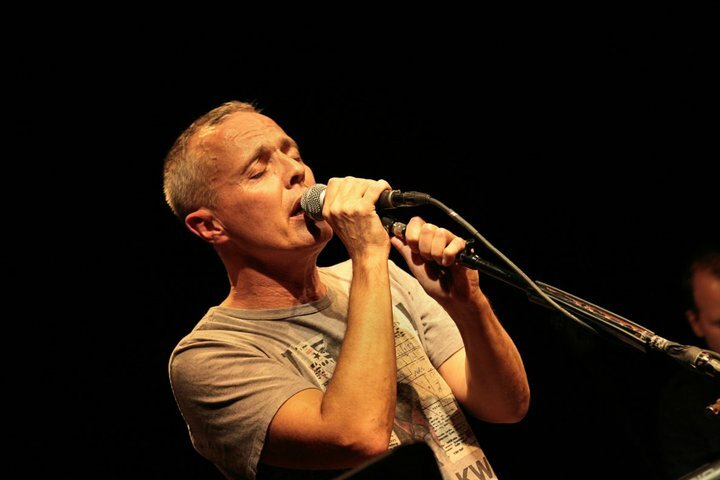 I appreciate how he tweeted about me coming all the way from Atlanta on social media and well, I just think Curt Smith is one of those ultra awesome musicians that no matter what he always finds some kind of way to make his fans feel like the effort they put into getting to his shows and buying his work was more than an investment in great art but an investment in the good life…a real blessing. Many thanks to Pam (ProudMom27 on YouTube) for her continued support and love. 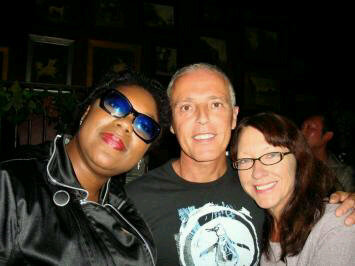 Huge thanks to Curt Smith, his manager and fellow bandmates for smiling and being kind. 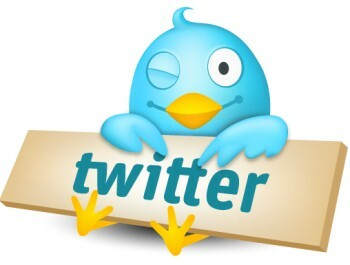 It keeps the energy of the industry alive and thriving! Eileen and Traci D with Curt after the show. This was an amazing evening! 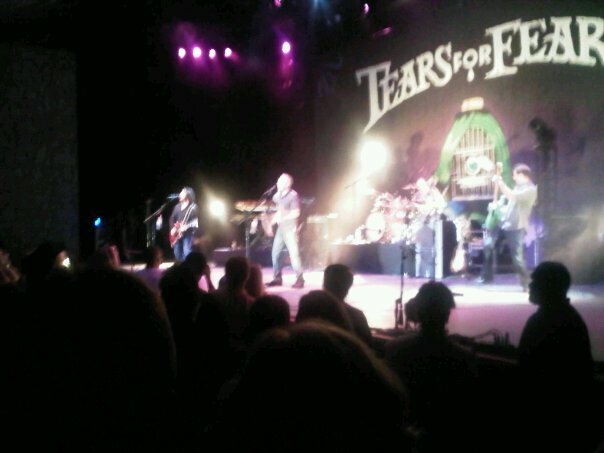 In 2010 Tears for Fears returned to Atlanta after being away for nearly 18 years (as a group). Curt says he has been to Atlanta since on business, but it wasn’t a show so fans feel, “that doesn’t count” and welcomed them back with open arms…and some *boobie-flashing* in some cases. Yes, we know who the culprits were. We’re keeping that a secret. The venue, Chastain, was nearly full with over 3,000+ seats sold plus standing room according to a fan who eavesdropped at the box office security. The set list included many of the band’s new and older music plus several solo pieces. The extremely talented Michael Wainwright opened for them on this tour. Followed by Arrested Development who really warmed up the crowd with incredible hits past and present of their own. 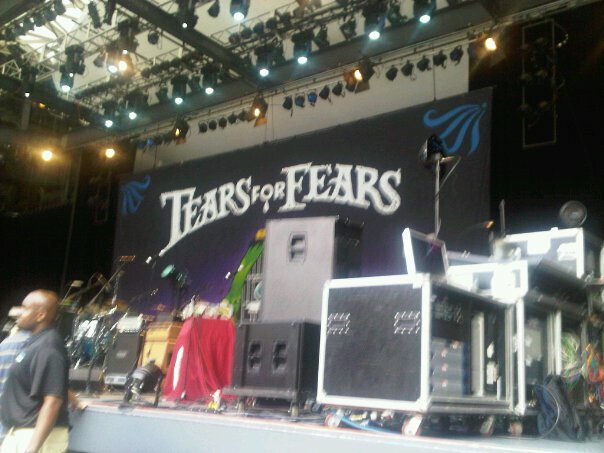 Tears for Fears began their set with Mad World (version remade by Gary Jules) and continued with many other well known pieces along with Floating Down a River which at the time had been rarely heard. 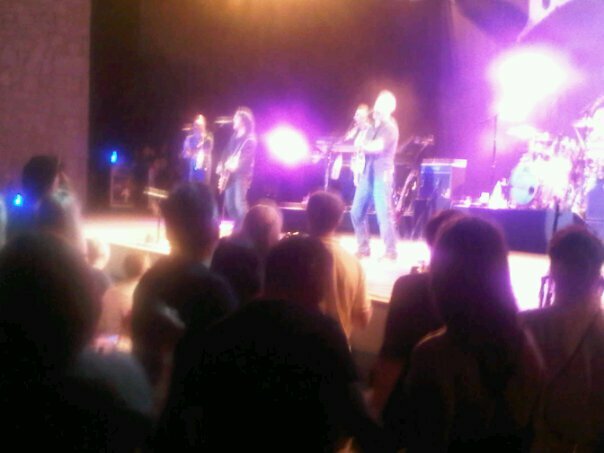 Fans flocked to Curt Smith’s Facebook wall the morning after and a few reviews were posted about the show. A fb group page remains online in memory of the groups historic return and features info about the show plus short videos of each song they performed. One of the highlights of this show in addition to being so close was meeting Michael Wainwright. He was everywhere before and after the show. 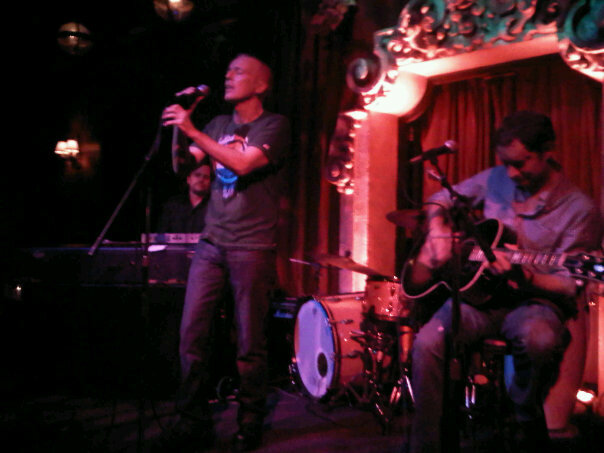 In addition to opening for the band he also sings the coveted part of Oleta Adams on Badman’s song and Woman in Chains. *Little known fact that both AD and TFF were played as the opening music for a student news broadcast back in 1993 in Knoxville, Tennessee -Bearden Middle School. The music coordinator (Andye) later took a trip to Atlanta and visited news networks where she would later work as a coordinator. With Tears For Fears coincidently playing in the background the young lady declared the town and her dedication to the band as her future. 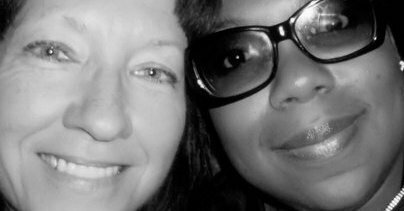 Little more than 15 years later she suggested interviews featuring the band The full circle moment was eventually attending her first Tears For Fears concert on the anniversary of her hire date at the network. 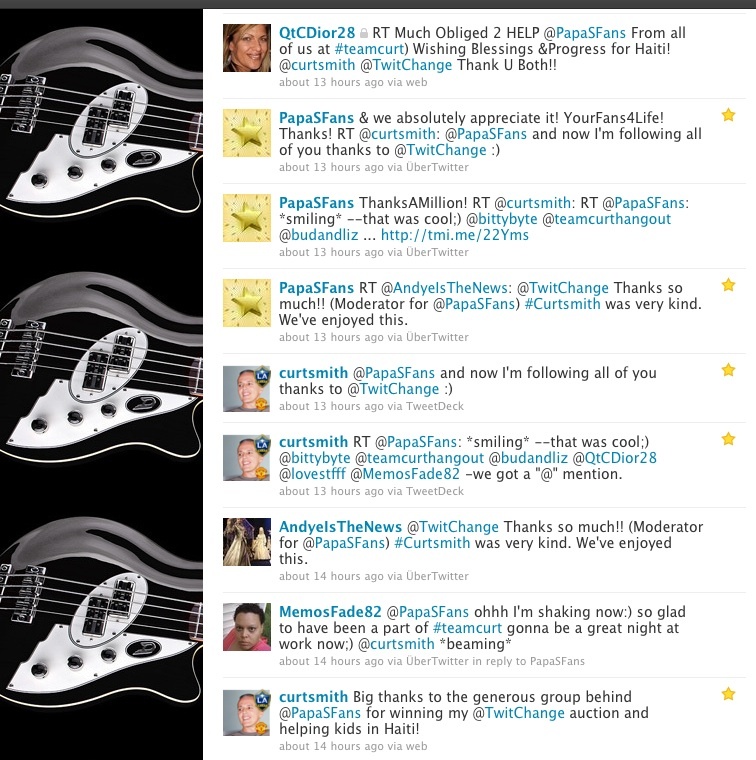 Using the Social Media Forum, Twitter she connected with many fans and got Re-tweeted by the band before the show. She later tweeted the whole show for fans who couldn’t make it…rumour is that 10,000 of her tweets are Tears For Fears related. In addition to scoring some pretty cool unconventional souvenirs she bought tons of merchandise for several fans who were working or out of town. One being this T-Shirt. Big Thanks to Todd Skees, another long time fan also in the media industry who made this show extra special for many fans! Warning: This was footage from down in the audience, the fans are singing& “screaming.” DO NOT turn the volume up on this video or you will hurt yourself. 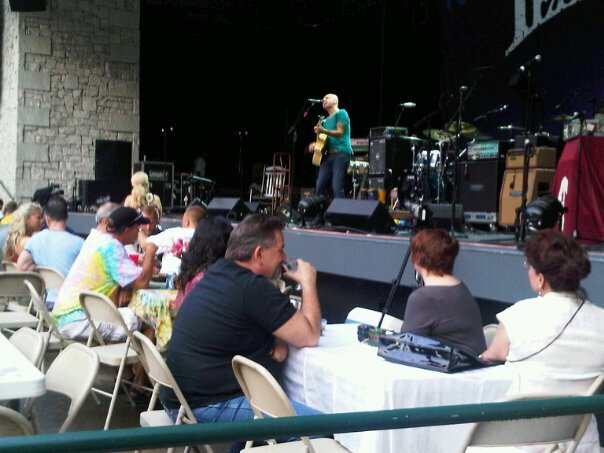 About 4 of them travel from all parts of the United States to see Curt at solo shows and with Tears For Fears. They meetup with other fans in the L.A. area and also with others that fly in from out of state. They are known as TeamCS & celebrate their anniversary on 17 September which coincidently was the same day as the conclusion of the U.S. leg of the tour…also a sold out show. In Addition: Our support is for both Roland Orzabal and CurtSmith. 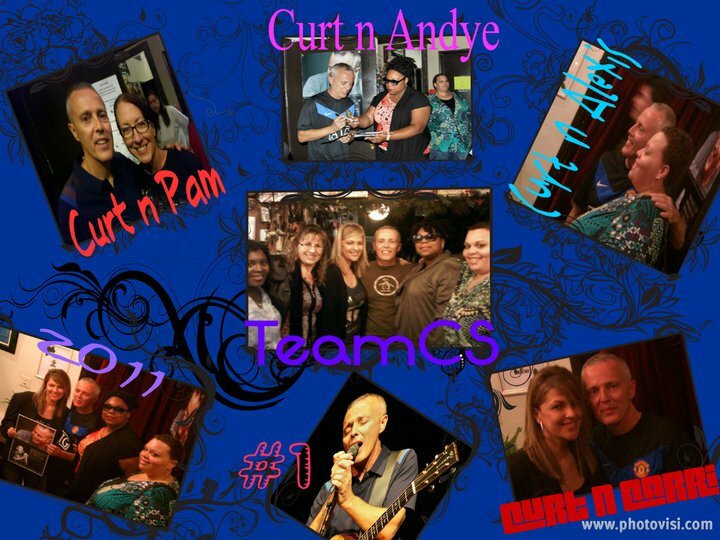 TeamCS was created to celebrate and honour Curt’s dedication to a worthy cause. 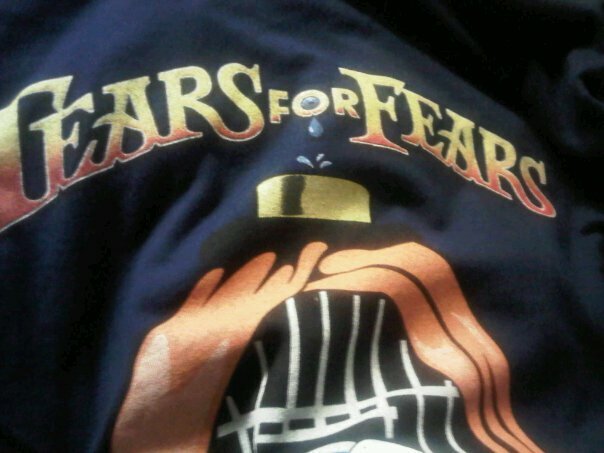 TeamCS is a strong and longtime supporter of all things Tears for Fears related. We do not believe in divisons or loving one band member over another. It is our desire to understand and get involved with any charity they’ve supported through any possible “fan opportunities” made available to us. We are forever grateful to Shaun King for making it possible for us to be so involved in this project.